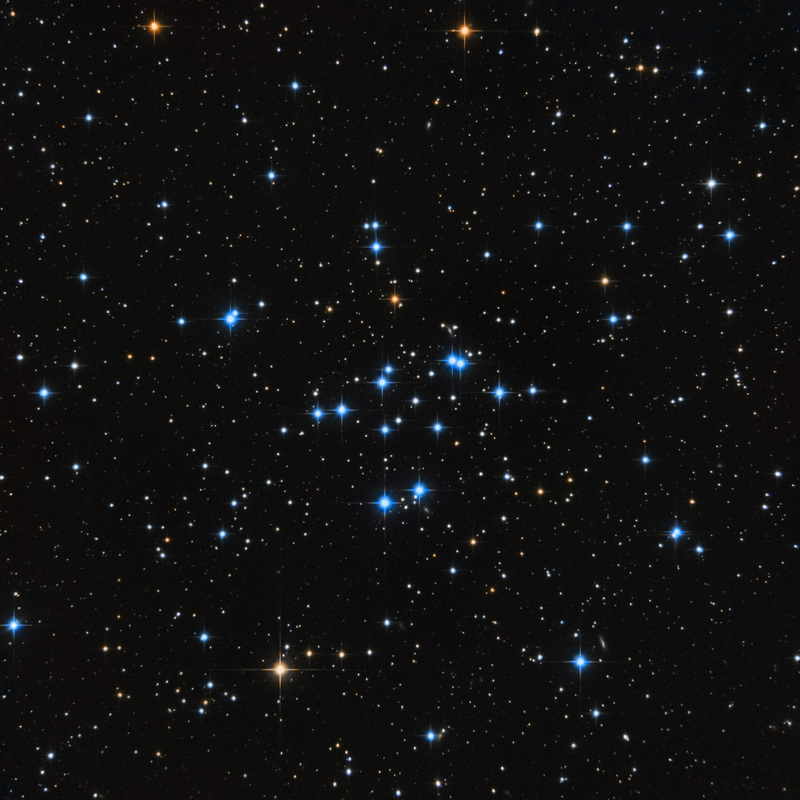 Probably first found by Giovanni Batista Hodierna before 1654, and independently rediscovered by Charles Messier in on August 25, 1764.M34 (NGC 1039) is an intermediate aged open cluster and lies about 1800 light years away in the constellation Perseus. M34 spans about 15 light-years. The age of M34 was recently been updated to 180 million years, according to the new calculations of G. Meynet's Geneva Team. Over 100 stars belong to this cluster, with the brightest concentrated towards the center. It is believed that M34 is part of a larger local group of star clusters that includes Pleiades.